With its progress through the House of Lords nearly complete, the Wales Bill faces one final hurdle before it becomes law. On Tuesday the 17th of January, the members of the National Assembly will be asked to vote on whether they support the Bill. If they vote against the Bill, then the proposed changes to Wales’s devolution settlement will not become law. Mark Drakeford, the Cabinet Secretary for Finance and Local Government, has already indicated that it is not a “forgone conclusion” that Assembly Members will give legislative consent for the Wales Bill to become law. Steffan Evans sets out the arguments for, and against, the Bill. The Wales Bill does contain provisions that would see more powers devolved to the National Assembly. If the Wales Bill were to become law the Assembly would be granted greater powers in a number of different policy areas including energy and transport. The Assembly would also be granted further powers over elections. It would be granted the power to change the voting age in Wales, the power to change the size of the Assembly and the power to change its name. It is this last group of powers that is likely to prove particularly attractive to AMs when considering whether to support the Wales Bill. The National Assembly has already opened consultation on whether its name should be changed, and there have been renewed calls to increase the number of members elected to the Senedd. There are concerns, however, that whilst the powers of the Assembly may be increased in these areas, the Bill may, on the whole lead to a reduction in the Assembly’s powers. If the Wales Bill were to become law it would see a new fiscal framework put in place for Wales. The Wales Act 2014 saw tax powers being devolved to the National Assembly for the first time. Whilst the Welsh Government will assume responsibility for stamp duty and landfill tax from 2018 onwards, the Wales Act 2014 set out that limited powers to vary income tax, would only be devolved to the Assembly following a referendum. The Wales Bill, if enacted, would remove the referendum requirement and would devolve income tax varying powers to the Assembly. Given the belief in some quarters that a referendum on devolving income tax powers would be difficult to win, the prospect of seeing these powers devolved to the Assembly, without a referendum, will be attractive to some. UKIP have indicated, however, that they will be voting against granting legislative consent to the Wales Bill for this very reason, arguing that the people of Wales should get a vote on whether these powers are devolved to Cardiff Bay. There had been concerns that the adjustments made to Wales’s block grant, following the partial devolution of income tax, would see Wales lose out financially. The Welsh and UK Governments struck a deal shortly before Christmas 2016, however, that would see a new fiscal framework put in place. Under the new fiscal framework the borrowing powers of the Assembly will be increased to £1 billion, and the Barnett Formula will be changed to contain a needs based factor. It is nearly three years since the Silk Commission published its second report on devolution in Wales and nearly two years since the signing of the Saint David’s Day Agreement – the Agreement that underpins the provision that are contained within the Wales Bill. Whilst the process that has led to the development of the Wales Bill has attracted significant criticism, it appears unlikely that if the National Assembly voted against granting consent to the Bill, that another would be drafted in the near future. With the UK Government poised to trigger article 50 in March, it appears unlikely that the UK Government would be willing to commit resources for the development of another Wales Bill. With this in mind, some AMs may be tempted to grant legislative consent to Bill on the basis that this is the best that Wales could get. The Wales Bill, if enacted would change the model of devolution in place in Wales. At present the National Assembly operates under the conferred powers model of devolution, meaning that the Assembly has got legislative competence over those powers directly devolved to it. 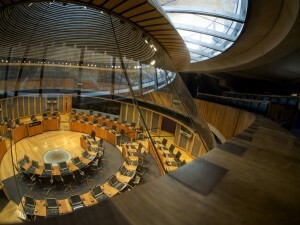 Under the Wales Bill, the National Assembly would operate under the reserved powers model of devolution. Under this model, the presumption is that all powers have been devolved to the National Assembly apart from those powers that have been expressly reserved to Westminster. Historically, the reserved powers model of devolution has been viewed as the model that offers greater clarity. There are concerns, however, that the model, as set out in the Wales Bill could introduce new uncertainty in Wales. One provision that has attracted criticism is the “relates to” test. Under the Bill, the National Assembly would not be permitted to enact any legislation that “relates to” a reserved area. Critics draw comparisons with the current devolution settlement as set out in the Government of Wales Act 2006. Under the 2006 Act, the Assembly is permitted to enact legislation that “relates to” a devolved area. Three cases have appeared before the Supreme Court in recent years to decide whether a proposed Assembly Bill is within its legislative competence. There are concerns that, given the high number of reserved areas set out within the Wales Bill, that further cases could appear before the Supreme Court, as clarity is sought on what “relates to” means in the reserved powers context. A second reason that may lead the National Assembly to reject the Wales Bill is the possible reduction in its powers. As noted, the Wales Bill contains a long list of reserved areas. These reservations are varied, ranging from the licencing of entertainment and refreshment, to outer space and Antarctica. Whilst the UK Government has taken some steps to amend the Bill to reduce the number of these reservations, it remains a very long list. Under the Wales Bill, the National Assembly would not be permitted to enact legislation that related to any of these reserved areas. There are concerns, therefore, that the Wales Bill could see the powers of the Assembly reduced. Indeed, some, such as Lord Elystan Morgan, have argued that the Bill was not bought forward to extend the Welsh devolution settlement, but to reverse the decision of the Supreme Court in Re Agricultural Wages (Wales) Bill which granted the Assembly greater legislative powers than had been intended by Whitehall when the Assembly was established. Whether AMs grant legislative consent to the Wales Bill or not, the vote on Tuesday the 17th of January seems set to be another landmark moment in the history of Welsh devolution.